Equinix have announced yet another acquisition in the UK, following hot on the heels of last year’s audacious £2.6bn bid for Telecity. The US-head-quartered colocation operator has bought fellow US operator IO’s Slough data centre. This is located 300 metres along the road from Equinix’s large LD5 site on Buckingham Avenue. IO opened their facility in summer of 2015, so were still a relatively new name in the London data centre market. They also offered a slightly different fit-out approach to traditional large scale data centres by using a modular system offering pods of 18 racks and 180kW. Or, when combining two pods, clients would have 50 racks and 360kW. This is a fairly high density fit out by the London markets’ usual standards. 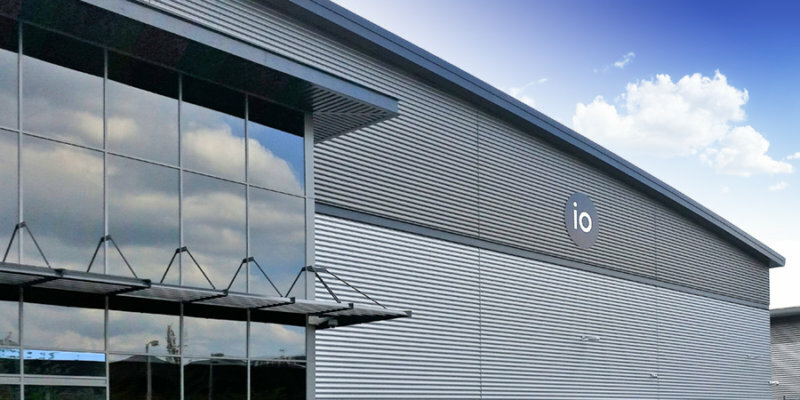 IO’s UK data centre is believed to have been underpinned by a large US bank, but otherwise the facility is estimated to be only some 10% occupied at present, including the large anchor customer. Overall the IO site offers some 50,000 sq ft of technical space or nearly 10MW of customer power. Equinix claim the site (to be named LD10) will offer some 3,300 cabinets once it’s fully developed. What does this deal give Equinix? In terms of Equinix – and relative to their string of recent deals – this transaction is tiny. But for those of us focussed on the London colocation market, it has some interesting ramifications. With Colo-X estimating all the existing Equinix sites in Slough (LD4, 5 & 6) largely sold at present, the IO deal definitely gives Equinix additional – and much needed– short term capacity. And, crucially, it provides additional capacity that can be easily linked in to the established Equinix colocation ecosystems nearby in LD4, 5 & 6. (Clients in LD10 will be able to run cross-connects to the other three Equinix data centres.) This will ensure fast take-up and price continuity for Equinix. Ironically, we understand that bringing on the full 10MW capacity of the IO site may not be that straightforward, and thus take a bit of time to bring fully into production. In addition to the growing Equinix Slough campus, Equinix’s London focus remains on the established network hub of LD8, the former Telecity Harbour Exchange (HEX), and the huge 30MW Powergate site in Acton (now LD9). LD9 will be an interesting play for Equinix as the site cannot be obviously linked in to either the LD8 or LD4, 5, 6 or 10 ecosystems. However, with the UK data centre market having a record year for demand in 2016 (driven by some massive deployments from the large American hyper-scale cloud providers) Powergate could still yet come into its own. But this might be as a facility focussed on large-scale customers as opposed to the high client numbers typical of the other London colocation ecosystems. Colo-X’s ecosystem analysis (available in our written research reports) shows that Powergate remains the weakest of the ten LINX sites in London, with only 16 ports in use. It lists only 16 ‘peers’ on PeeringDB – and a surprisingly lowly rank of 21 in the London market, despite being one of the largest London data centre campuses. Equinix will be pleased to have closed this transaction and thereby prevented any other competitors securing the site. Ensuring a dominant position in the European colocation market was one of their drivers for the Telecity deal. Equinix’s grip on the Slough market will have been reinforced with this further in-fill acquisition, as well as meeting a short term capacity need. Certainly Virtus (one of the key beneficiaries of last year’s booming London demand) would have been interested in the IO facility, which is located only 100 metres from Virtus’s own Slough (and former Infinity) data centre. More more capacity must surely be high on the to-do list for Virtus CEO Neil Creswell. It is also worth remembering that the sale of Centurylink’s 57 global data centres to BC Partners and Medina Capital in October last year included five London data centres (all of which were previously part of Savvis, whom Centurylink acquired in 2011). Of these, two are on the Slough Trading Estate, and L01 and L05 are both located nearby on Ajax Avenue. So in effect, we have yet another new operator in the London colocation market. The new venture has yet to be given a new name – and certainly the focus would seem to be very much inclusive of services (such as those offered by the cyber-security businesses that Medina Capital contributed as part of the transaction with BC Partners, as opposed to colo only). But we shall see how the new operator’s pitch evolves. The five Centurylink sites add up to just under 200,000 sq ft or nearly 26MW of colocation capacity, so create a decent-sized new operator with approximately 5% of the London market. The volume of transactions in the London data centre market seems set to continue and is why we have entitled our 2017 research report on the London colocation market ‘Corporate Transactions Drive the Market’, as we continue to evaluate and assess the impact of this activity. Our report will be available shortly through Colo-X website.